According to Facebook, the social media site once described as the “world’s most dangerous censor,” a group that apparently wants to burn a Christian mother alive does not violate the company’s nebulous “community standards,” Lifezette and others reported this week. She took the responsible action and reported the group to Facebook for “harassment” and encouraged others to flag it as well. Facebook, however, decided the group didn’t “go against one of [Facebook’s] specific community standards.” This, by the way, was the same response we got after reporting a black nationalist post advocating mass murder of Trump supporters. “So a page named ‘I Will Find Activist Mommy And Burn Whoever Runs It Alive’ does NOT go against Facebook’s community standards? Hmmm…if that is not targeted violence, nothing is! Facebook is a joke! Share this folks!” she said. Last year, the Daily Wire said, Facebook temporarily suspended her page for daring to quote the book of Leviticus. This isn’t the first time the company has turned a blind eye to this kind of online hate directed at conservatives, Christians and those opposed to Islamic terrorism while severely punishing and censoring those same individuals. As we recently reported, “Warriors for Christ,” a Christian ministry opposed to the LGBT agenda, has felt the wrath of moderators multiple times. Rich Penkoski, pastor of the group, cited Facebook’s actions in a lawsuit filed in West Virginia. 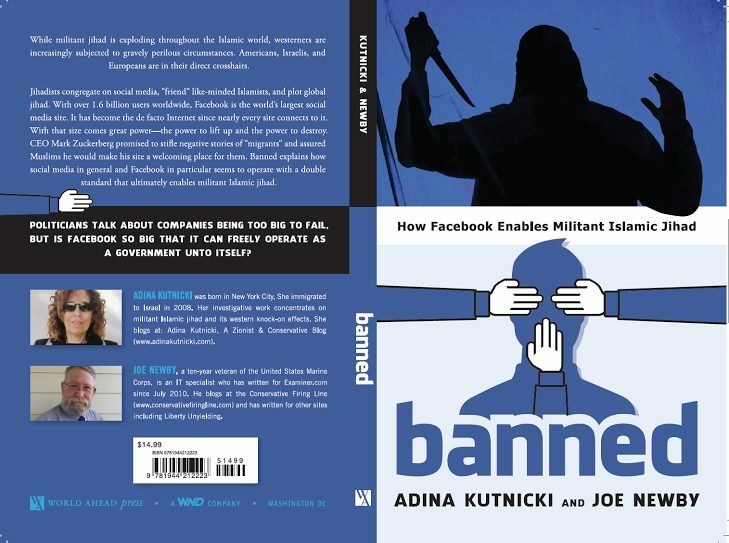 This kind of double standard also inspired yours truly to write “Banned: How Facebook enables militant Islamic jihad” in 2016 with American-Israeli Adina Kutnicki. Apparently, this is what CEO Mark Zuckerberg and others mean when they claim the site is supposed to be a “safe space” for all of its users. Next articleShould American gun owners enjoy anonymity?